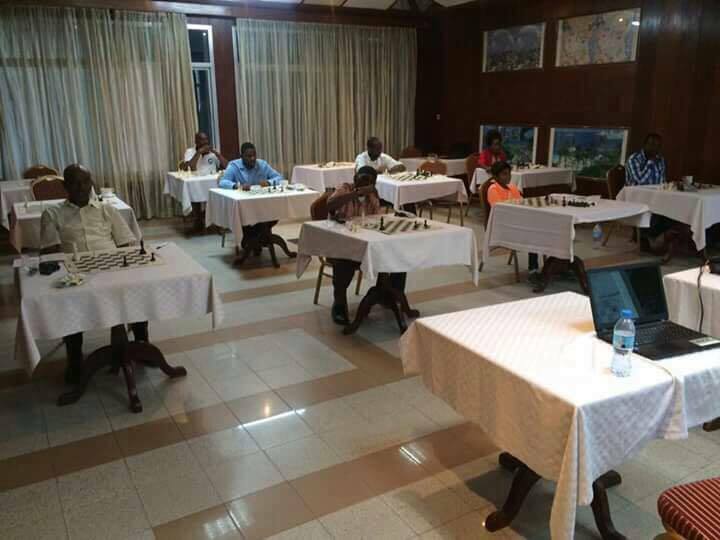 Following the successful tour by GM Kenny Solomon, IM Daniel Jere touched down in Dar es Salaam on the 13th April 2017 for the 2nd portion of the Tanzanian leg of the Chess Masters for Africa Tour. 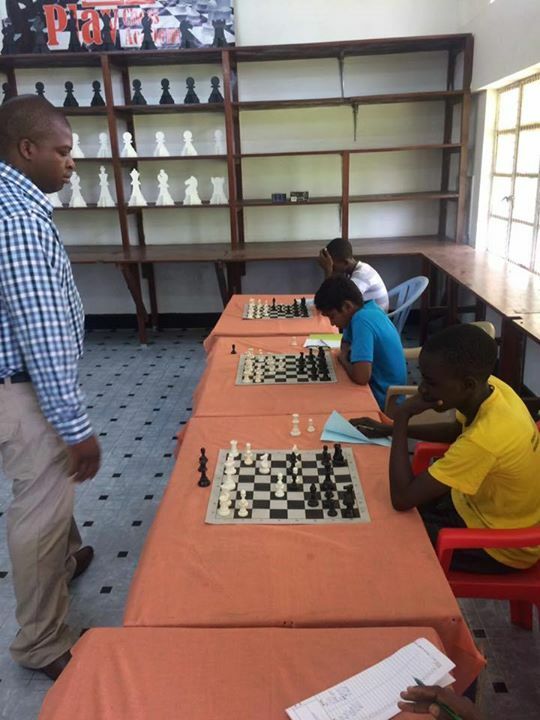 He started by conducting a simultaneous exhibition with the top 10 youth players in the country. 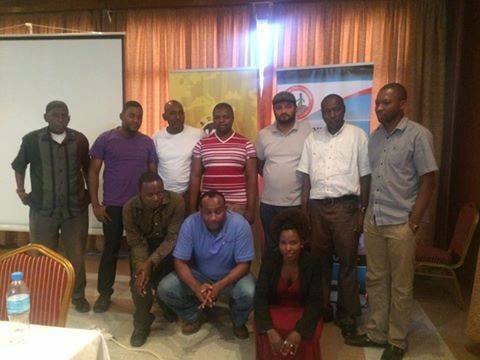 His opponents included members of the Tanzanian under 16 team who would shortly be departing to Mombasa, Kenya for Zone 4.2 under 16 team championship. 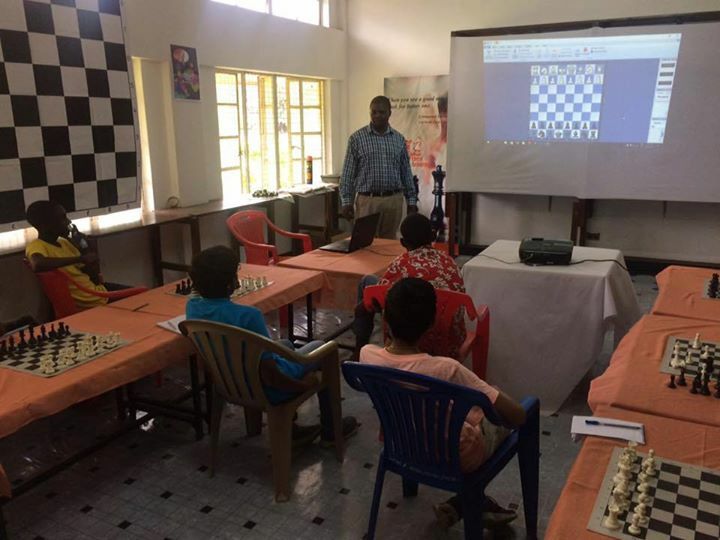 The session was followed by game analysis during which Daniel placed a lot of emphasis on the importance of studying chess literature to improve. 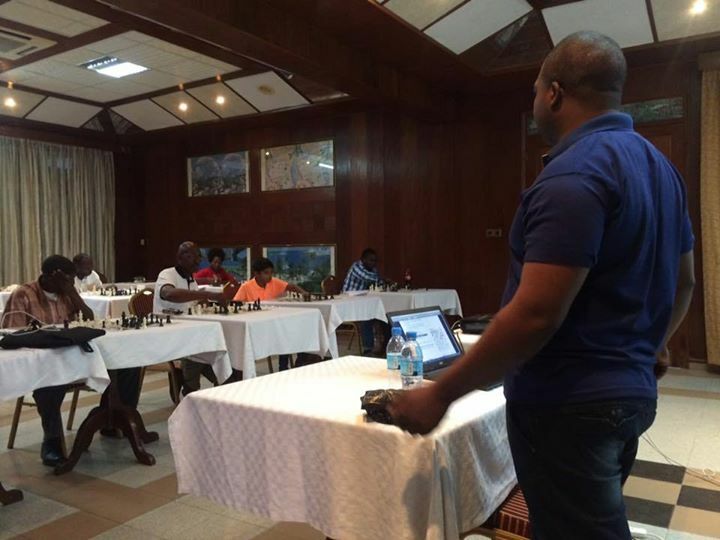 he focused on positional analysis and planning. On Monday, Daniel conducted a very interesting session on the importance of post-game analysis, stressing the importance of this discipline. 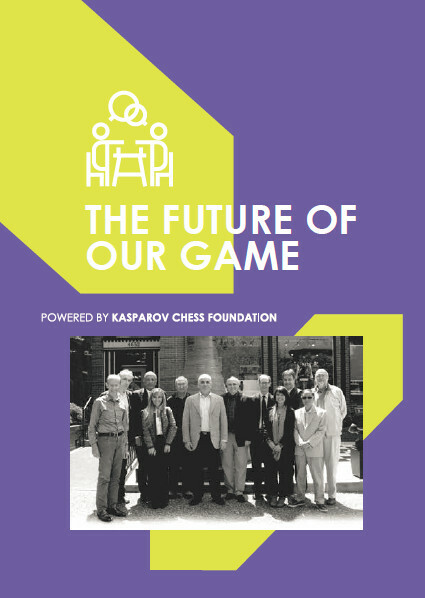 Each trainee had one of their old games analysed by the group with Daniel assisting and guiding the discussions. 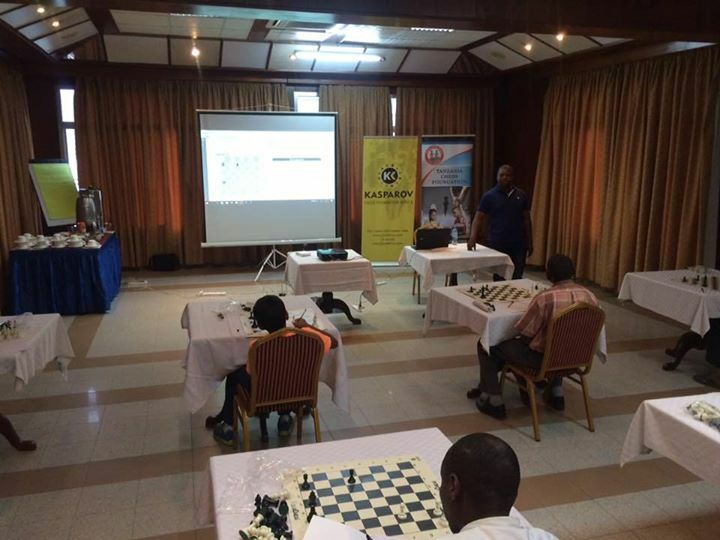 The trainees learnt how to analyse their own games and improve with the help of the different materials that are now available in the CMAT chess library. Tuesday saw Daniel and the trainees visited the SOS Children’s Village which currently houses over 130 children in 13 separate properties! 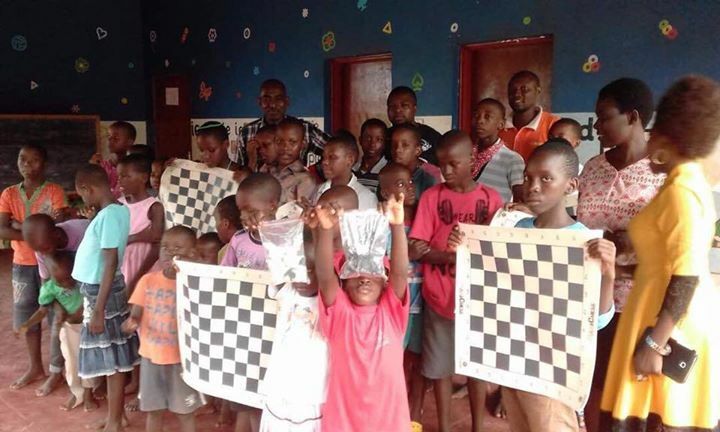 The trainees introduced chess to at least 2 children per house who would later pass the knowledge on to the rest of their house members. 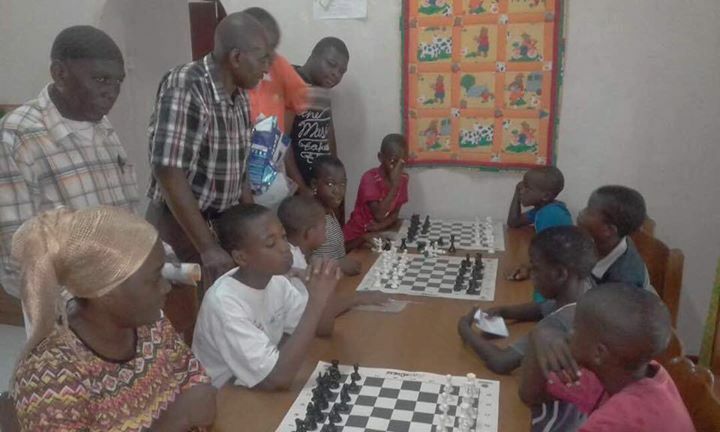 One chess board and set was donated to each house while one of the trainees delivered a lesson. 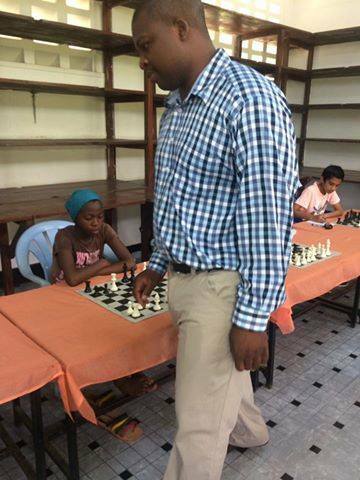 IM Jere motivated the children with a very nice lecture focusing on the advantages of chess as a game. 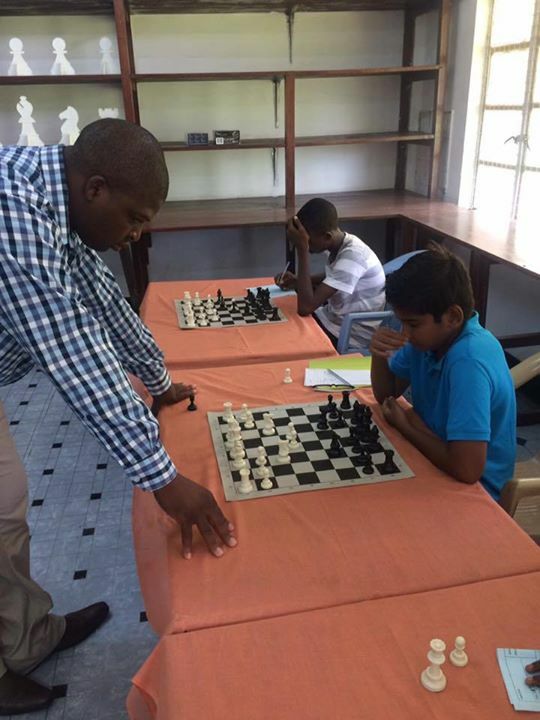 Later that same afternoon Daniel opened the very first chess library at the Hassuji Chess Academy. 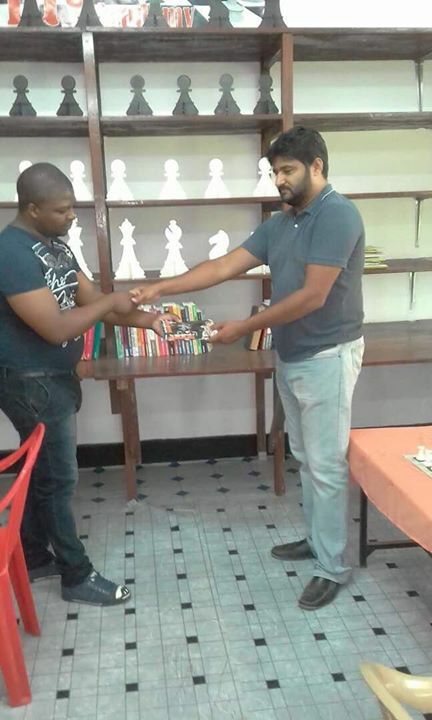 The library will house all the books that have been sent to Tanzania to support the CMAT tour and will ensure that these can be accessed by all chess players throughout the country in the future. On Wednesday 18th April, Daniel concluded the 2nd tour by conducting the traditional one on one feedback sessions with each trainee. 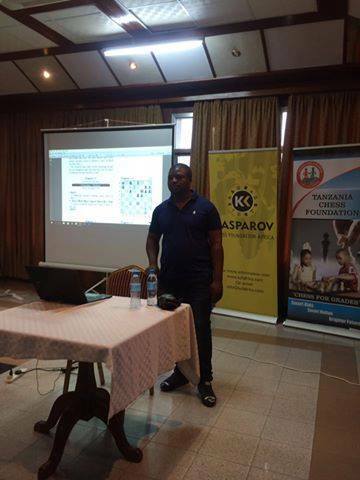 We wish to thank Daniel for the incredible contribution he has made to the development of chess in Tanzania and we hope to see him back in the country in the near future!